We offer Red Iron Oxide Powder (ISC-446) that is known as the basic mineral for steel plant. Red Iron Oxide Powder (ISC-446), offered by us, can be availed at affordable prices. 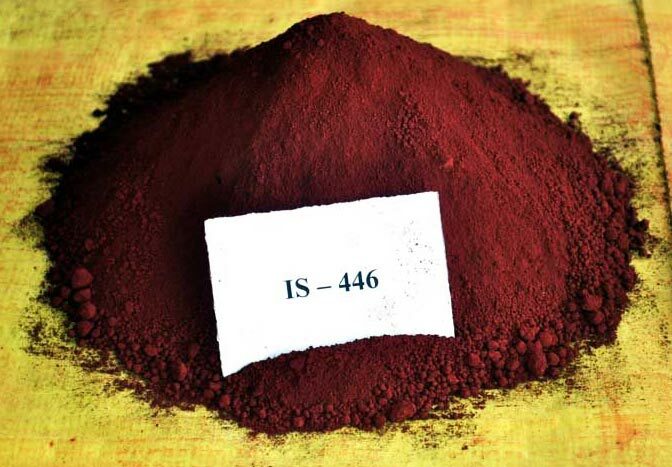 The Red Iron Oxide Powder (ISC-446), which we offer, is quality checked on various parameters, such as, light fastness, performance, chemical stability, properties, composition, etc.